Qualification : 1. Architecture Faculty [including 3 Part Time teachers (Eleven Posts)] (i) B. Arch or equivalent with valid registration of Council of Architecture; OR (ii) M. Arch./Planning or equivalent with valid registration of Council of Architecture. (iii) Candidates with Ph.D. will be given preference. 2. Fine Arts Faculty (One Post) (i) B. Fine Arst/Visual Arts with Masters Degree. 3. Civil Engineering Faculty (One Post) (i) B.E./B. Tech. in Civil Engineering or equivalent preferably M.E./M.Tech. in Structural Engineering. Qualification : B.E./B.Tech in Biotechnology/ Biochemical Engg./ chemical Engg. or equivalent followed by ME / M.Tech. in Biotechnology/ Biochemical Engg/ Bioinformatics / Bioprocess Engg./ Environmental Engg. / Bio-engineering / chemical Engg. or equivalent in first division with PhD degree in appropriate discipline OR PhD in BioTech with M.Sc. in Bio-Technology with first division. Qualification : B.Tech./ B.E. in Chemical Engineering followed by M.E./ M.Tech in Chemical Engineering or equivalent in first division with PhD degree in appropriate discipline. Qualification : (i) M.Sc. with first class in relevant field. AND (ii) Ph.D. in appropriate discipline Remark; Experience in relevant field is required. Qualification : B.E./B.Tech in Civil Engg. or equivalent followed by M.E./ M.Tech. in Civil engg. or equivalent in first division with PhD degree in appropriate discipline. Department : Computer Science & Engg. Qualification : (i) B.E./B.Tech or equivalent in Electrical Engineering/ Electrical & Electronics Engineering/ relevant discipline. AND (ii) M.E./M.Tech. or equivalent in Computer Technology/ Control System/ Power Electronics/ Power Systems Electric Machines & Drives/ Signal Processing / Instrumentation /Electronics AND (iii) Ph.D. in appropriate discipline. Department : Electronics and Telecommunication Engg. Qualification : (i) Value Education : Master degree in Psychology/Philosophy or other appropriate discipline with first class & Ph.D. in appropriate discipline. Experience in teaching value education will be preferred. (ii) Yoga, health, and hygiene: Master Degree in Yoga with first Class and Ph.D. in appropriate discipline. Qualification : B.E./B.Tech. in Mechanical Engg or equivalent followed by M.E./ M.Tech. in Machine Design/ Production/ CAD/ CAM/ Thermal Engineering / Industrial Engineering etc. in first division and PhD degree in appropriate discipline. Qualification : (i) B.E./B.Tech. in Metallurgical Engg/ Metallurgical & Materials Engg or equivalent. OR (ii) M.E./M.Tech. in Metallurgical Engg/Metallurgical & Materials Engg/Materials Engg or equivalent. OR (iii) Ph.D. in Metallurgical/Materials Engg. 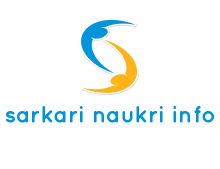 Remark ;-Candidate with through out Metallurgical & Material Engg. will be given preference. Qualification : (i) M.Sc. with first class in relevant field. AND (ii) Ph.D. in appropriate discipline. All the candidates should bring complete bio-data along with two (02) sets of the attested copies of their certificates and the original certificates in support of their educational/professional qualifications and two passport size photographs. Interested candidates may attend the walk-in-interview on 8th and 9th July 2015. Interested candidates shall report to respective departments for registration before 11:30 A.M. Candidate reporting after 11:30 AM will not be entertained. 8th July 2015 : Architecture, Bio-Medical, Chemical Engineering, Physics, Humanities and Social Science, Information Technology, MCA, Mechanical Engineering, Mining Engineering. 9th July 2015 : Applied Geology, Bio-Technology, Computer Science, Chemistry, Civil Engineering, Electrical Engineering, Electronics and Telecommunication Engineering, Metallurgical Engineering, Mathematics, Yoga, Health & Hygiene.